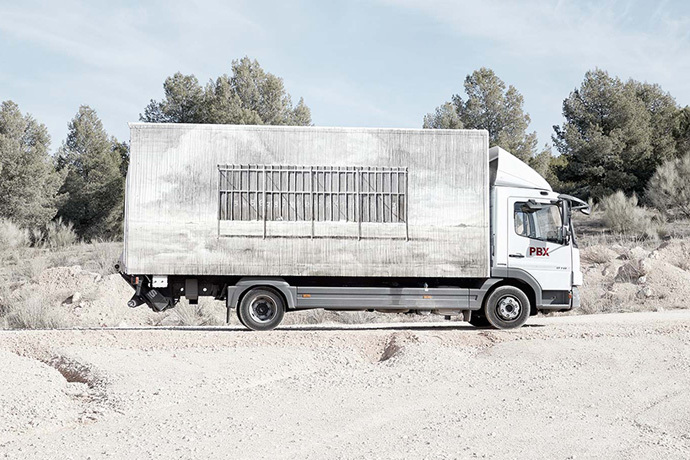 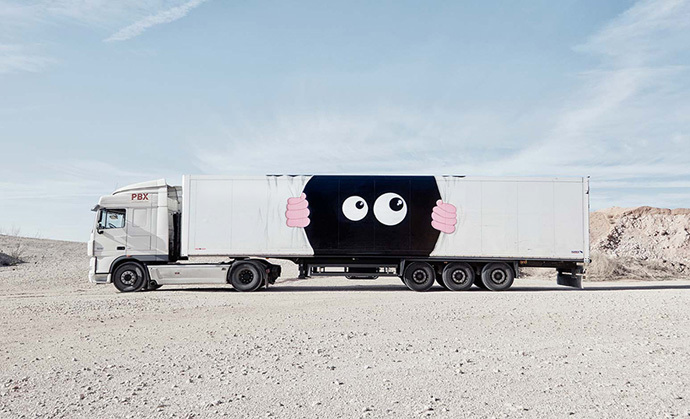 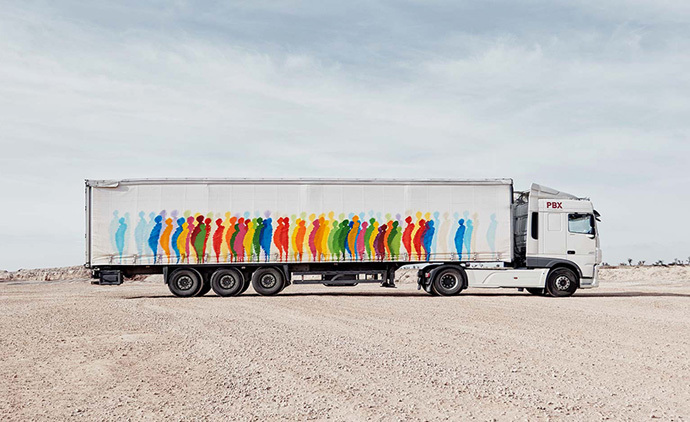 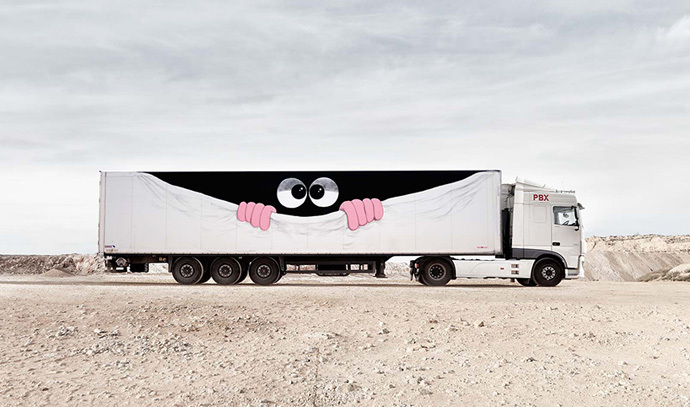 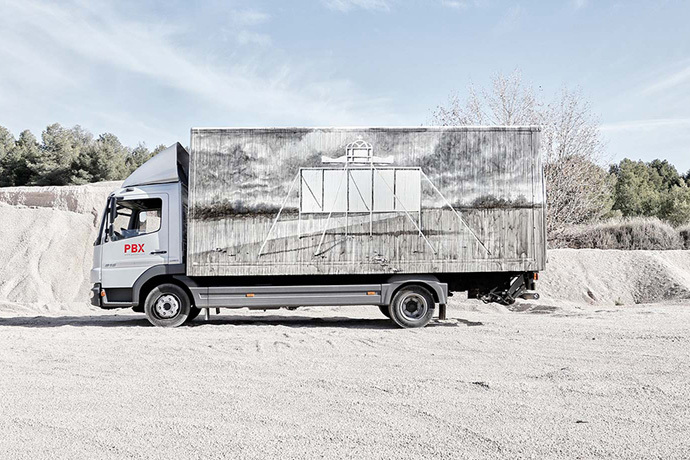 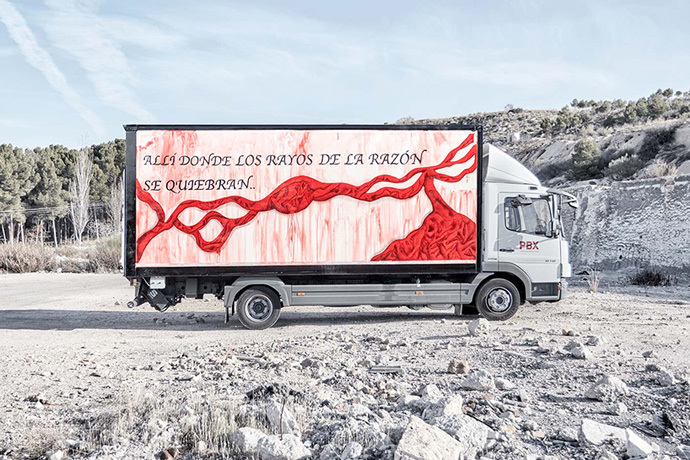 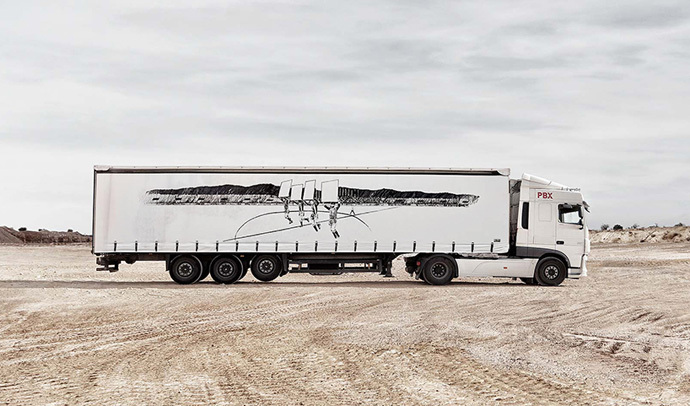 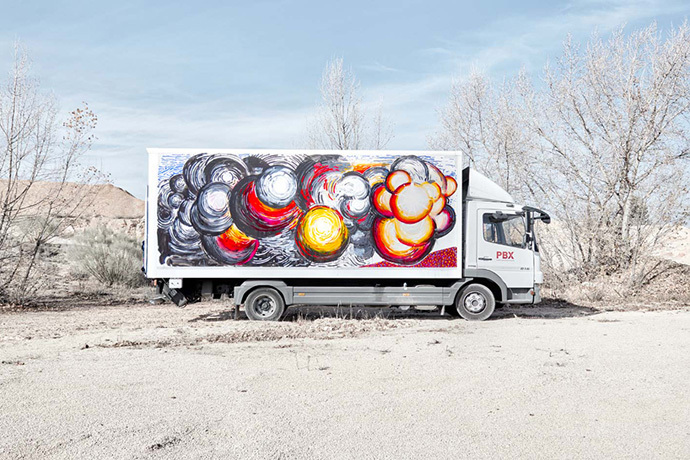 This innovative cultural initiative, which features trucks from logistics firm Palibex, was founded by Palibex owner Jaime Colsa and iam gallery in Madrid. 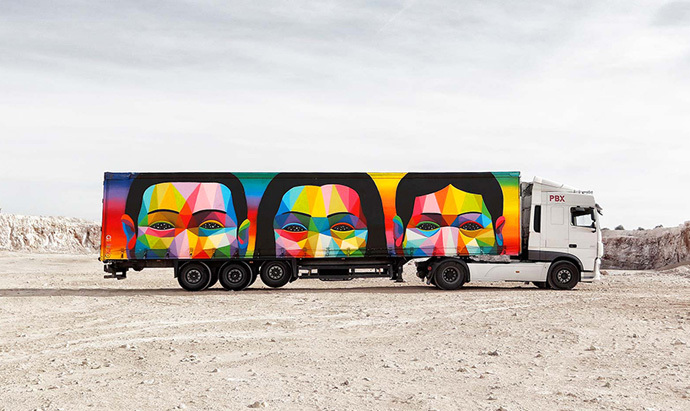 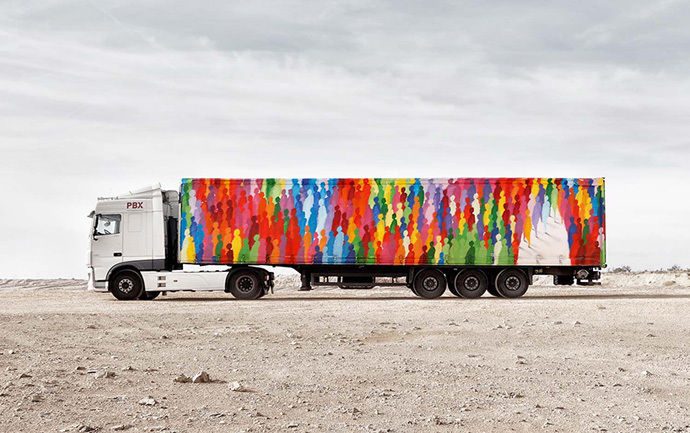 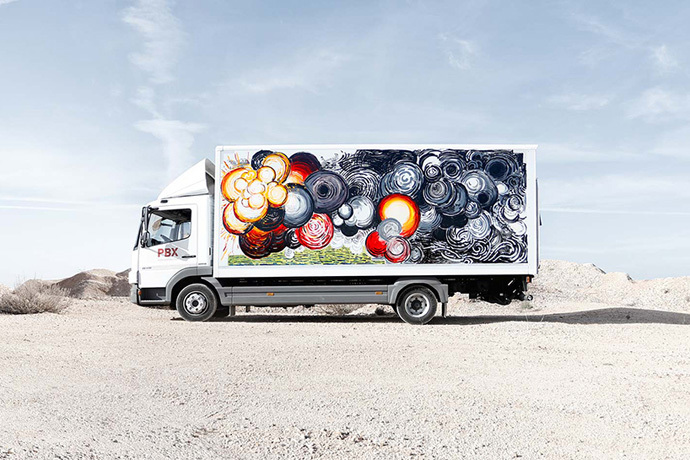 Some of Spain’s most well known artists and designers, namely Javier Arce, Suso33, Okuda San Miguel, Abraham Lacalle, Marina Vargas, Javier Calleja and Daniel Muñoz, have transformed Palibex vehicles into pieces of moving art. 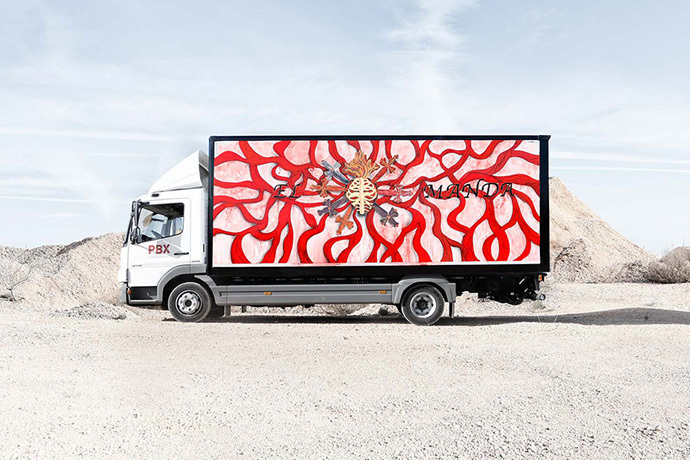 A on the move gallery so to say, and actually some of the vehicles have been turned into mobile galleries, housing art inside the body of the truck for the public to explore and vist. 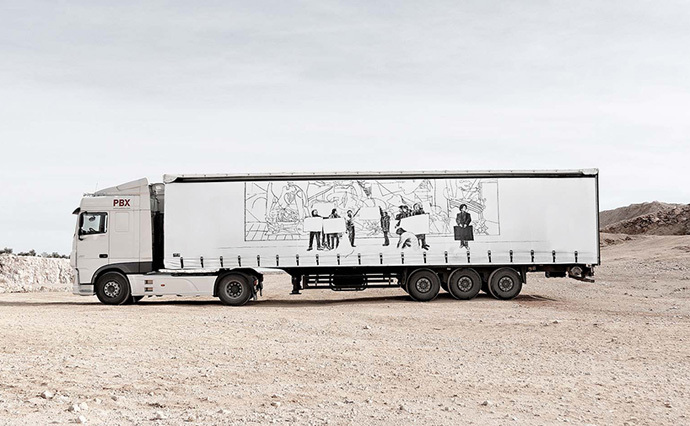 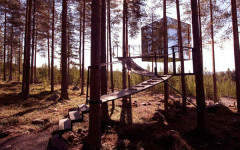 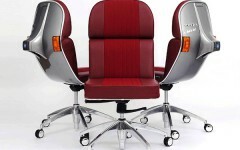 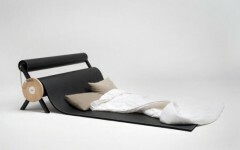 The aim of the project is to transport art to places where galleries are not accessible. 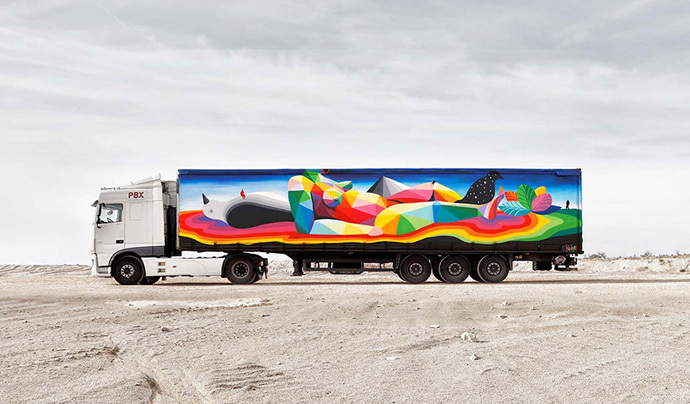 Making art accessible to everyone all the time.